After seven years, Lionsgate finally brought back the Saw franchise with Jigsaw last fall, and it seems there are already plans for for Saw 9. While promoting the home video release of Jigsaw, directors Peter Spierig and Michael Spierig revealed that certain aspects in Jigsaw actually set the foundation for Saw 9 and the future of the franchise. Here's what Peter Spierig had to say when asked about how this movie sets up Saw 9. "There's a lot of things that go on in Jigsaw that we talked about where they could go in further movies, and so there's things with the characters and ideas that have the foundations of other things that could potentially come in the next couple of movies. You want to make the movie itself a complete experience for the audience, a satisfying experience in terms of the story, of feeling like there is a conclusion. But at the same time, there are some questions about the characters and their arcs and things like that where we haven't explained. And we certainly talked about it with the producers and the writer and even the actors, where things potentially could go. It really becomes a question of does the audience want more? Are they keen to see these characters, the characters who survive and even sometimes the characters who don't survive can end up in another Saw film, based on its history. There's always room for flashbacks and who knows what." 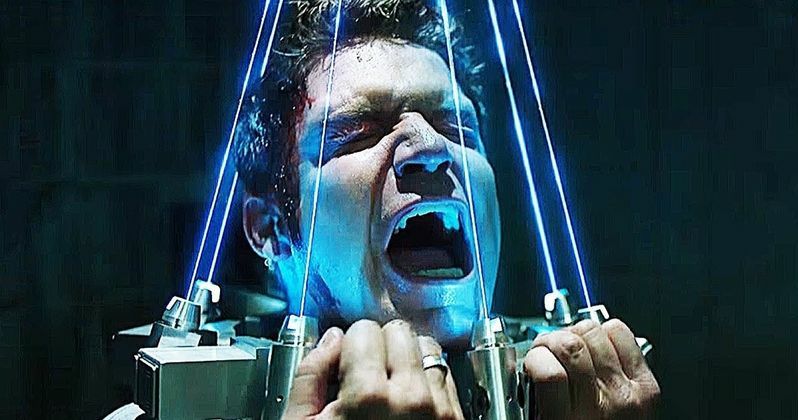 While nothing has been confirmed yet, a report from last month suggested that the Twisted Pictures production company is planning to keep this horror legacy alive with Saw 9, which could push the Saw franchise to over $1 billion worldwide, with its global tally from all eight films combined currently at $976.2 million. Tobin Bell even hinted in an interview last week that he would be interested for coming back for a ninth installment, although there is no indication that Lionsgate is ready to green light this sequel. The Spierig Brothers' new film Winchester hits theaters this weekend, delving into the true story of the Winchester Mystery House in Northern California. The directors, whose previous work includes Undead, Daybreakers and Predestination, aren't currently attached to a new project, so it's possible they could return to the helm for Saw 9. Jigsaw was written by Josh Stolberg and Peter Goldfinger, although it's unclear if the writers will be back for Saw 9 as well. The filmmakers revealed these details in a new interview with Screen Rant.